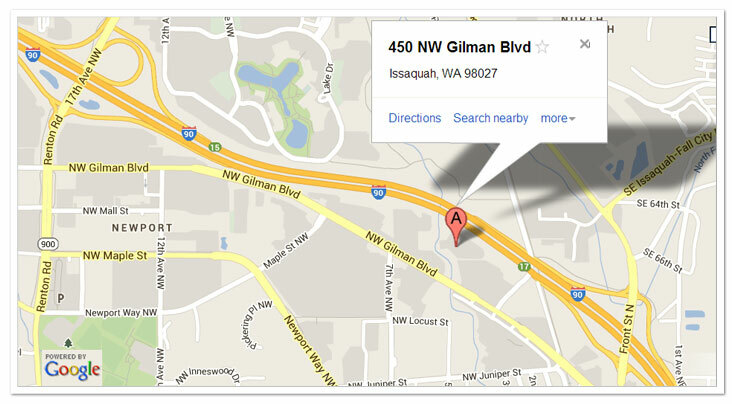 Miller Family Dermatology – Medical, surgical, and cosmetic dermatology in Issaquah WA. If we can see it, we can see you. If you have a condition affecting the skin, hair, or nails, we can help you. At Miller Family Dermatology we are equally adept at diagnosing and treating everything from acne and eczema to uncommon skin disorders. Whether you have a benign growth to remove or a large skin cancer that requires surgery, Miller Family Dermatology should be your first stop. We will help find the best treatment option for you and provide you with excellent care in our state-of-the-art procedure center. Our philosophy on cosmetic treatments involves a thoughtful approach and focus on products and services that have high impact at fair value. In contrast to other practices, we won’t ‘sell’ you on treatments you don’t need, or don’t want. Our mission and care philosophy is centered on providing high-value care using a team-based approach to deliver evidence-based medicine. We utilize technology as much as we can to enhance the experience and are especially interested in using it to bring the patient and doctor closer together. At Miller Family Dermatology you will have access to a board-certified dermatologist trained at one of the best residency programs in the country. There is unprecedented demand for dermatology services in the Seattle area, but we always do our utmost to ensure that urgent cases are seen as soon as possible. We believe in patient-centered care. This means that we don’t let technology or changes in health care affect the quality of medical care that we provide. At Miller Family Dermatology, all members of the team live our values every day. Our philosophy of care allows our team to go the extra mile and give the best service to every patient, every time. Dr. Miller is a board-certified dermatologist serving Issaquah, WA and the surrounding area. He graduated from Harvard Medical School and was part of their prestigious Medical Scientist Training Program. He also obtained a PhD in Biological Chemistry and Molecular Pharmacology while working in a melanoma research lab. After all this, he completed his residency in Dermatology at Mayo Clinic in Rochester, MN. The Dermatology Department at Mayo Clinic usually sees 300-400 patients per day and interesting cases are shared with the entire staff, so there is little chance that there is something that Dr. Miller has not seen before. Mysteries are always welcome! Valerie Cooper is a board-certified physician assistant (PAC) who specializes in medical dermatology. She graduated from Bethel University in Saint Paul, Minnesota, with a Bachelor of Science degree in Biology. She received her Master's Degree as a Physician Assistant from the University of Nebraska Medical Center in 2003. Valerie’s Physician Assistant career began at the Mayo Clinic in Rochester, Minnesota. Now at Miller Family Dermatology, Valerie offers a wide range of dermatologic care, including both general and cosmetic dermatologic treatments. Her interests include skin cancer evaluation and treatment, sun damage and aging of the skin, psoriasis, acne and rashes. She enjoys seeing both children and adults, and as a mother of two, she strives to make children’s appointments and treatments relaxing and fun. Tim Cruickshank is a Seattle area native who returned home after 25 years as a highly decorated US Navy SEAL. While serving overseas, he was designated as a Medical Liaison Officer to NATO Special Operations Forces Head Quarters. He has a BS from Regents College of the University of the State of New York and a Master's Degree as a Physician Assistant from the University of Nebraska Medical Center. Tim shares Dr. Miller’s philosophy of a Team Based approach with the utmost respect for their patients and embraces the idea of maintaining the approachability of a neighborhood clinic. He will work tirelessly to provide you and your family the most timely, accessible and compassionate, patient centered care available. Tim resides with his wife Liz and his three children in Sammamish, WA. I had what I thought was a routine visit to look at an unusual bump on my skin, and it turned out to be anything but routine. I found the care and explanations of the doctor and staff to be very helpful, and their sense of urgency and compassion to be "as good as it gets," in Yelp-talk. In fact, it was better than that. I found that they practiced the Platinum Rule ("Treat others as you wish that others could treat you") rather than the mere Golden Rule. While the staff were coordinating the next steps in my care, I searched the internet (on their free wifi) and found that the doctor was following the state-of-the-art treatment plan, and acting with old-fashioned interaction and communication from the doctor and staff. 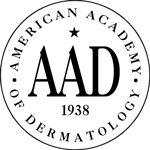 My kids have received successful acne treatment at Miller Family Dermatology, and I am delighted that I chose this team. Super impressed with Dr. Millers practice. The staff was able to fit me in on short notice, and Dr. Miller was great! Had been seeing another dermatologist, but I feel like Dr. Miller gave my skin problems real attention and a personalized approach. 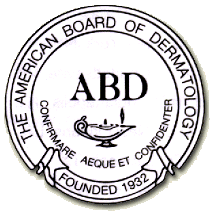 I'm very happy to have found a new dermatologist! Dr. Miller is kind and gentle so you will forget you are seeing a doctor. Instead you will feel at ease as though you’ve asked a friend to give their opinion on the appearance of your skin condition. Though I saw Dr. Miller for a hand burn he took the time to read through my chart & pro-actively follow up on a previous complaint I had to another doctor in the clinic about an itchy patch on my back.